Greyson had a close call! He was found wandering outside in the snow up north and rescued just before the recent polar vortex hit. When the local shelter couldn't take him, his rescuer sent him to APA. Whew! 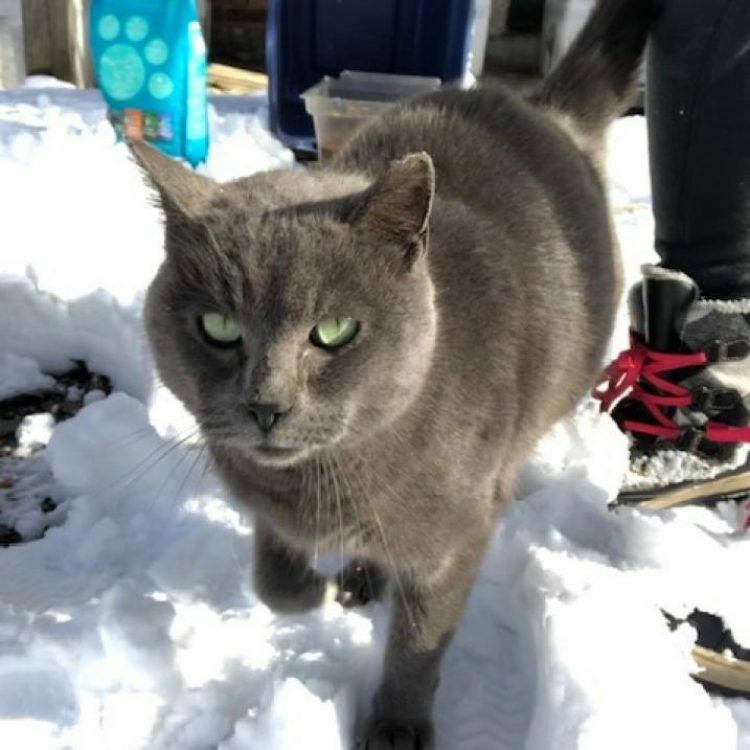 Even though Greyson is a Russian Blue, we doubt that he could have survived those Siberian-like temperatures! 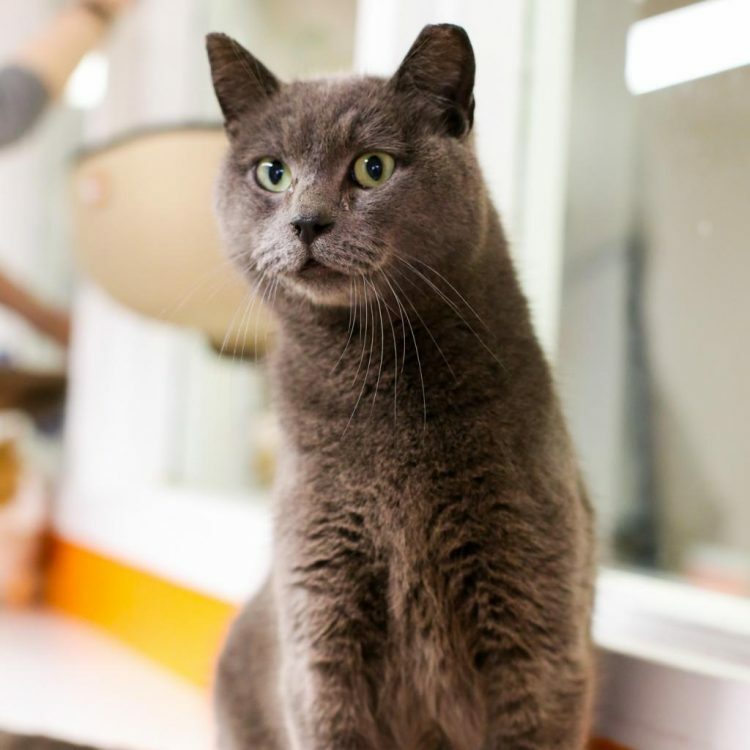 Greyson loves peaceful environments and lots of loving attention. 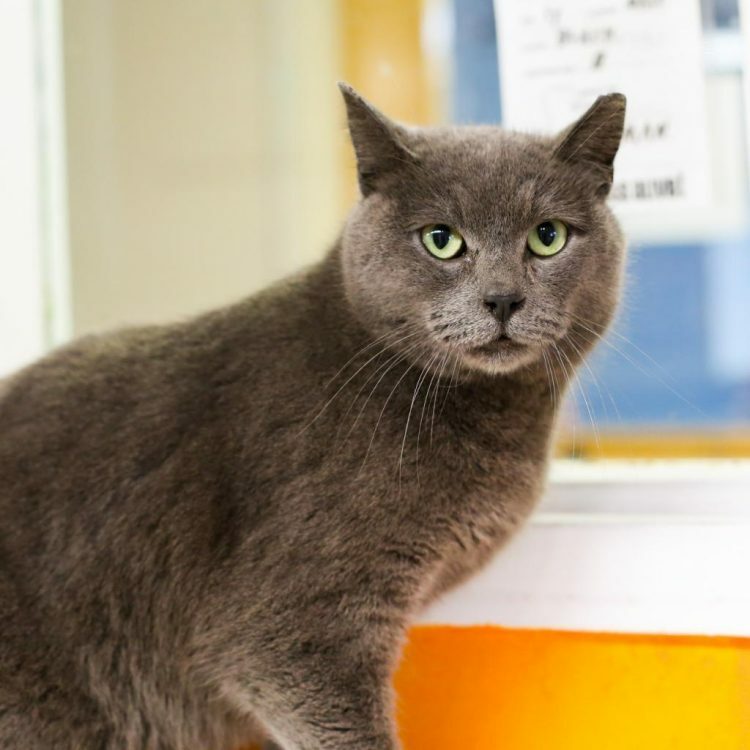 He's fine with the other cats in the adoption center, though the pushier ones tend to make him a little nervous. He's a sensitive guy, and sudden movements make him a bit skittish. When there's a lot of activity in the adoption center, he tends to hide. But if you seek him out, he will eagerly accept your attention and lean into your hands and legs for pets. He even loves giving hugs! Pick him up and he'll happily snuggle into you with both paws on either side of your face. 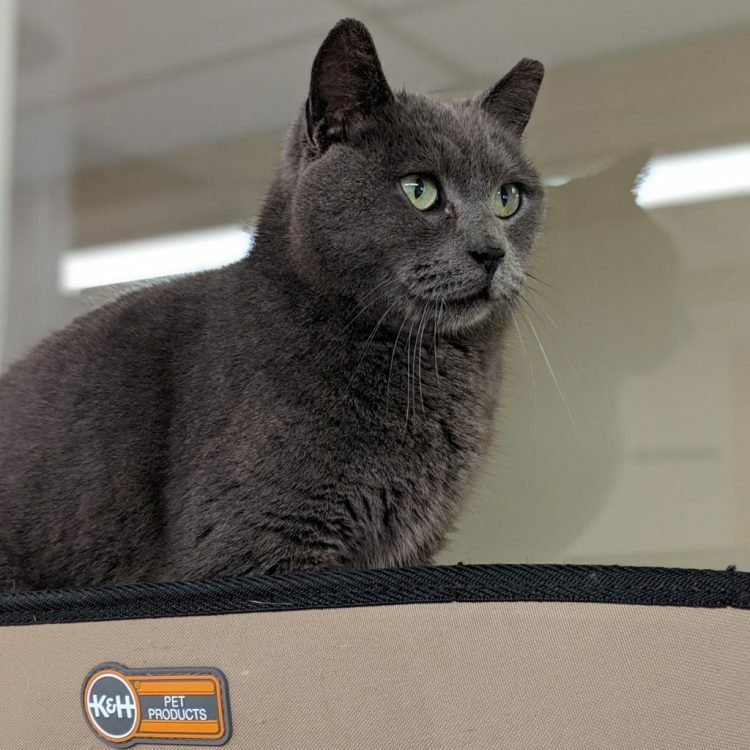 He hasn't shown interest in playing in the adoption center, but who knows? Maybe once he's in a home where he can get all of the love he needs, he might decide that toys can be fun too. 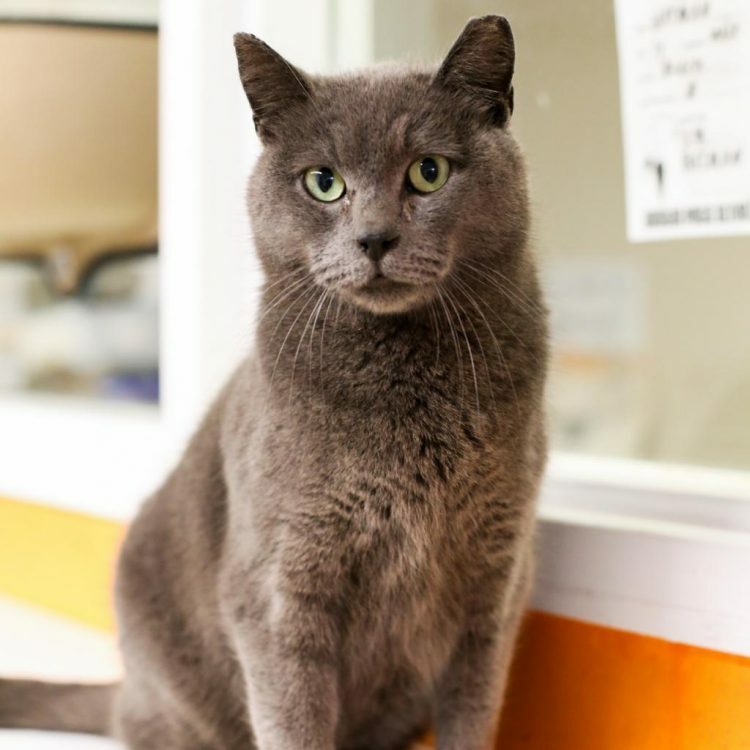 Greyson would thrive in a calm home with adults and older children who want to lavish him with love and attention. 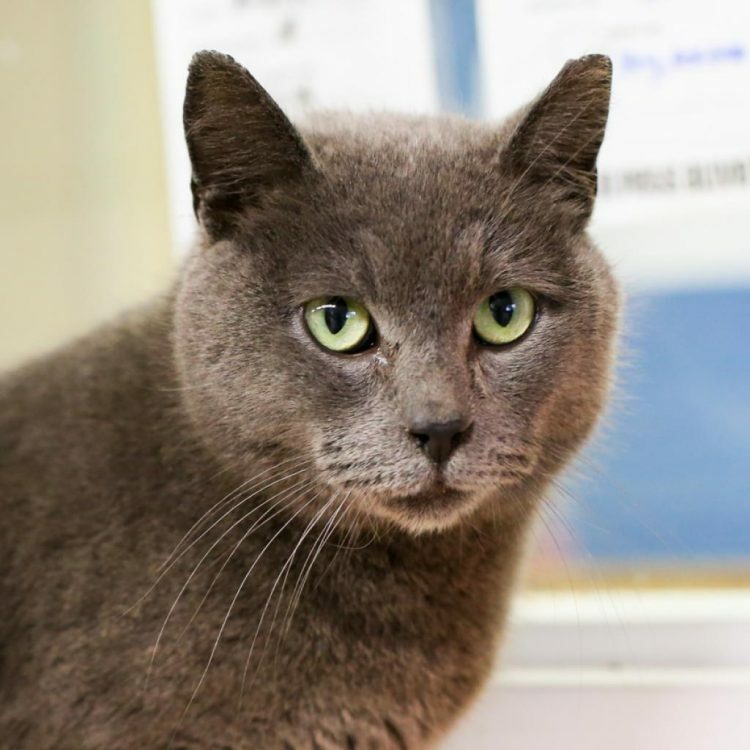 Young kids and rowdy, rambunctious kittens and dogs would make him nervous, but we think he'd be fine with other calm, friendly cats and dogs. For further information or to meet Greyson, please email us at [email protected]. 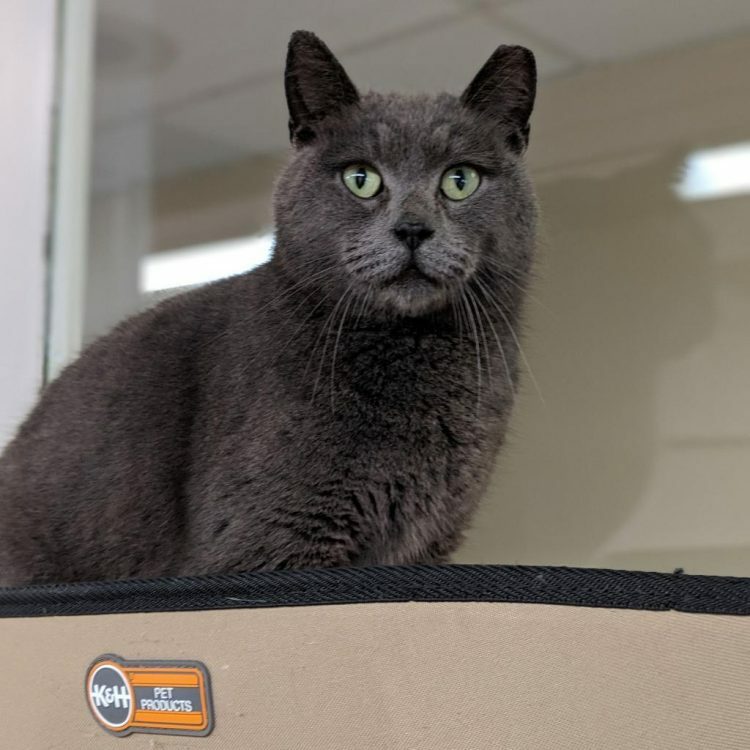 I saw Greyson (https://www.austinpetsalive.org/adopt/cats/apa-a-69755) on the Austin Pets Alive! 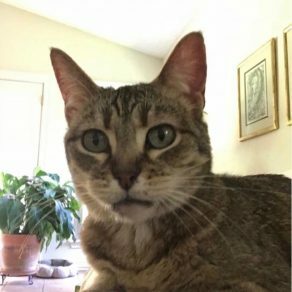 website and would like to request more information.